The initial concept of the Significant Screwdriver was to find a way to link the use of a power tool in an everyday way (e.g., for home repair, to assemble furniture, etc.) to the traditionally female domestic expressions of love and care. We emphasize that we believe the act of doing home repairs, assembling furniture and so forth, is already in most cases a form of care and love; at stake is that the caring and loving dimension is often implicit and unstated. 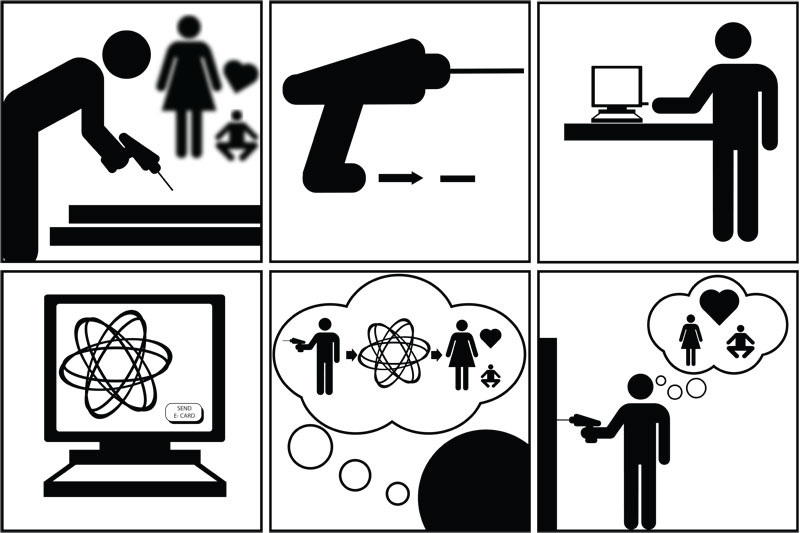 The Significant Screwdriver allows men to visualize these tasks in a more expressive, tangible, and aesthetic manner. These visualizations will hopefully allow both genders to better appreciate the care labor men perform in the home. 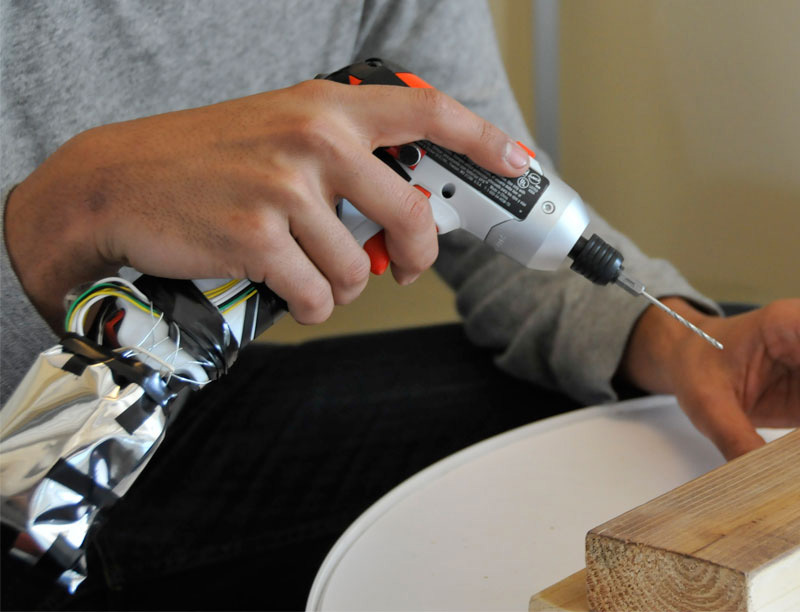 The design is a standard electric screwdriver/drill unit that we have adapted with sensors and an Arduino to collect data about its use in the home. We name the design, the “Significant Screwdriver,” to foreground the personal significance of its use. As a research through design project, the Significant Screwdriver is intended to encourage reflection that men’s domestic labour can be seen explicitly as an act of care and love, both by themselves and members of their families. Obviously, such a change by no means will ameliorate gendered inequalities in the domestic sphere. However, the design is intended to stimulate reflection and ideally orient people towards productive change, which can be brought about in part through future designs. Visualizations for the device are created through Processing (www.processing.org), a free and open source language and environment that excels with graphical representations. A fundamental goal is to ensure differentiation between screwdriver work sessions and session types to generate distinct visualizations for each. Physical variables–orientation, temperature, force, and noise–recorded by the Arduino sensors can be mapped to a specific visual variable of the visualization. This not only gives us considerable latitude in exploring visualization styles, but more importantly it will allow end users, in a custom visual application, to interactively design visualizations based on their own use data, adding another dimension of expressivity and aesthetic control to users who want it. The initial prototype of the Significant Screwdriver has been finalized, and additional prototypes are currently under construction. 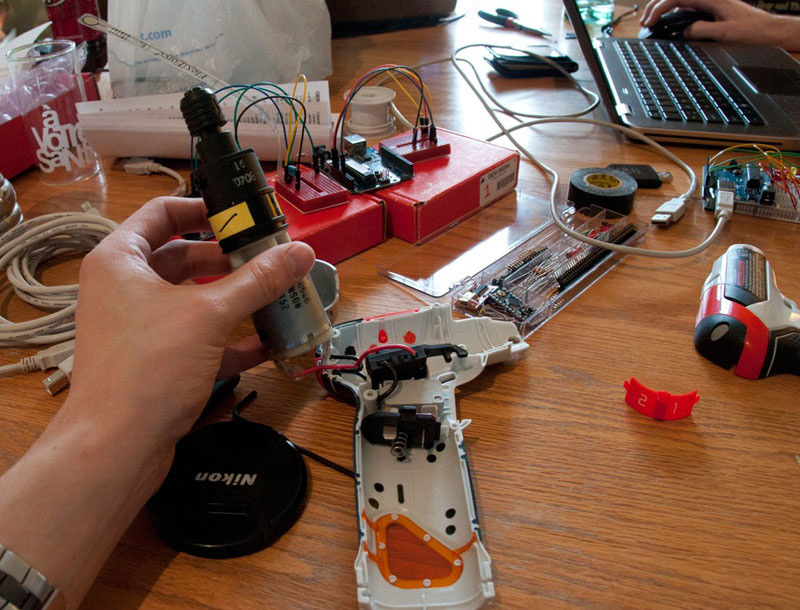 Once those prototypes are completed, they will be sent out as probes to six households. Screwdrivers will be given to each of the six households for a six-week period, during which we plan to conduct one interview per week to evaluate how the family used the device during that prior week and how visualizations from each use were utilized.